You might have heard one of the most epic games of all time called Fortnite. You might start to wonder what is it and how does one play it. This article aims to give you information about what you need to know to succeed in this favourite game. 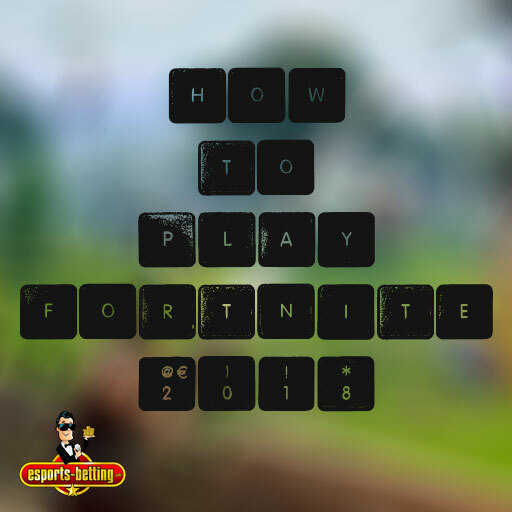 Fortnite is a survival game that is developed by Epic Games. The game’s setting is in contemporary Earth where 98 percent of the population disappeared due to a storm. The planet is left with creatures that attack everyone they meet. You have to build forts, collect resources, construct weapons and traps to combat these creatures. The players are given missions. When they are successful, they are rewarded with hero development and an arsenal of weapons. Pick the hero that you are most comfortable with. You can pick a constructor or a soldier. You should upgrade them as much as possible. The zombie-like creatures in the game are called husks. Survivors construct storm shields that prevent the cloud from forming overhead. The clouds can drop husks from the skies. The goal of the player is to find survivors, resources, and allies. You should be able to build other bases or storm shields across the earth. This will enable the planet to defend itself more effectively from husks. Currently, there is a Fortnite Battle Royale and a Save the World version available. The Battle Royale is a one versus 100 gameplay in a single map. Players are dropped from the sky through an Airbus. You can jump from the airbus whenever you are ready. The objective of the battle royale is to defeat other players and be the only survivor of the game. You can set traps and scavenge for materials to fortify your base. So The Save the World gameplay is all about being able to scavenge for loots and items, fortifying bases and structures, exploration of an area, and fighting waves of monsters. You have to make sure that all your game resources are safe while completing missions that would enable the storyline to advance. There are hero characters which you could choose from. Also, there is support aspects, defenders and collected resources. The main characters are used to complete missions. The defenders are summoned for defence if four players are not available. Support characters are used for faster building, armour, attack strength and health regeneration. Players can unlock skills over time. The difficulty of the missions depends on the players’ power and level. Be careful in the open. If you could help it, use the cover of buildings and trees to protect yourself. You have to gather resources on the go. Be careful in clearing trees entirely as it will alert enemies on your location. Use ramps since players that are usually on high grounds win the game. Play the game several times to familiarise yourself with the mechanics and create strategies that can make you advance to the next levels. So if you are more into new UK Casinos and want a break from Fortnite to be sure to check out one of my favourite guides regarding this topic, New Online Casinos UK. They list all the best new casino bonus 2018 offers for the UK with weekly updates. Hope you enjoyed this article and as always you can see all of my blog entries HERE.